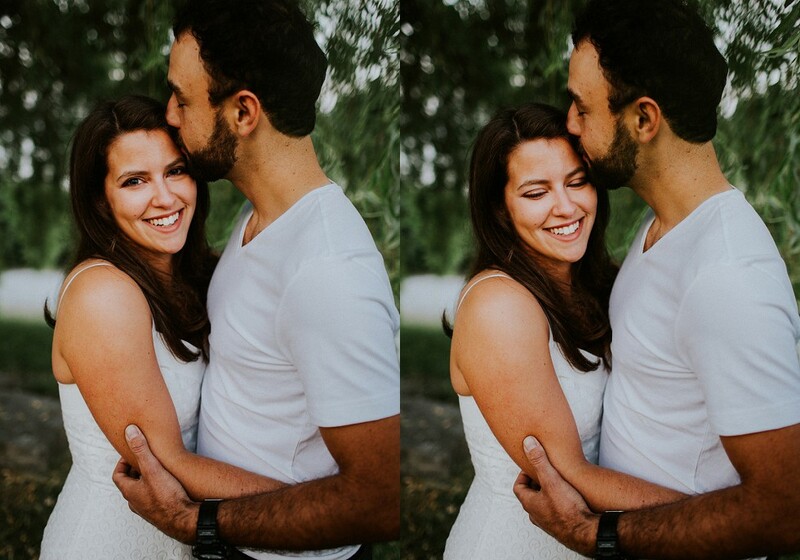 I have all the thanks in the world to give to Brittney + Dave. 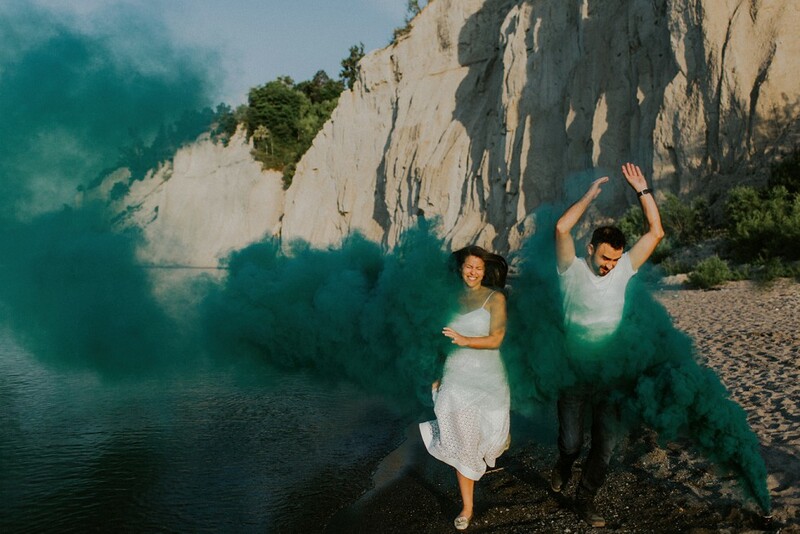 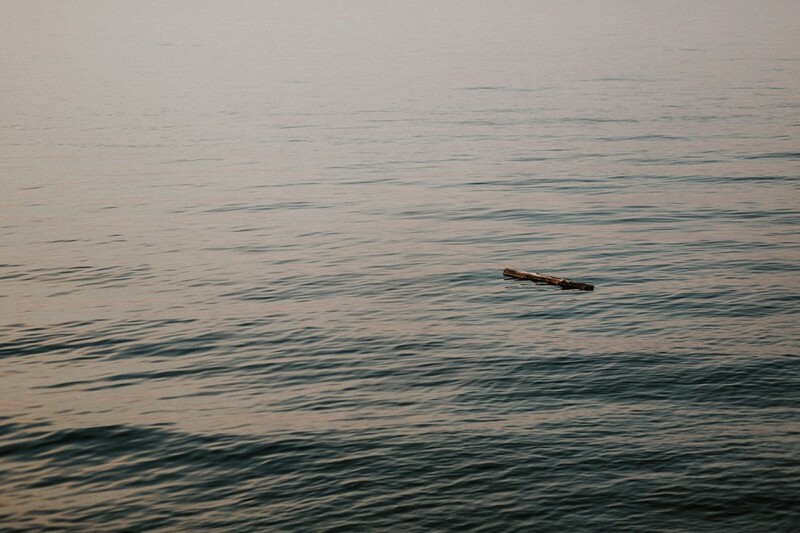 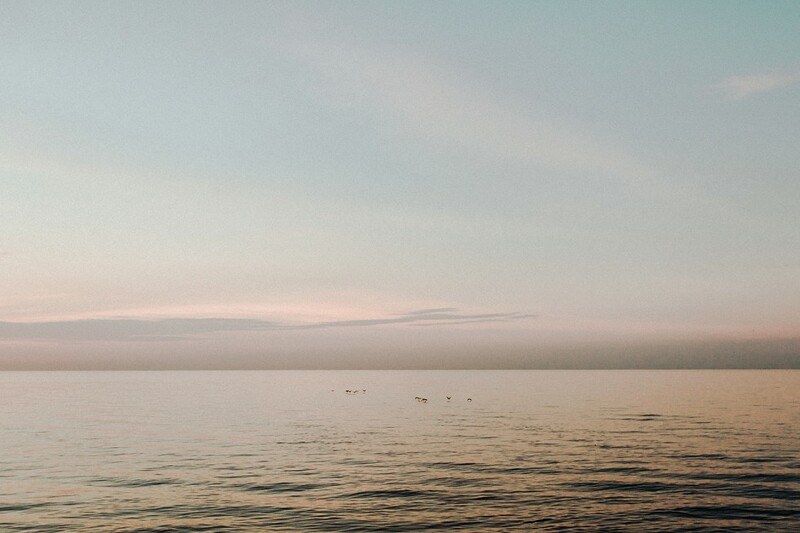 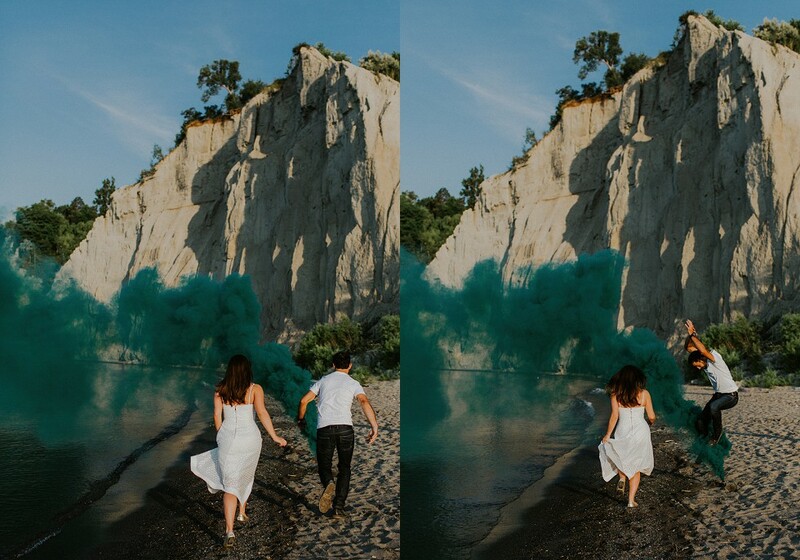 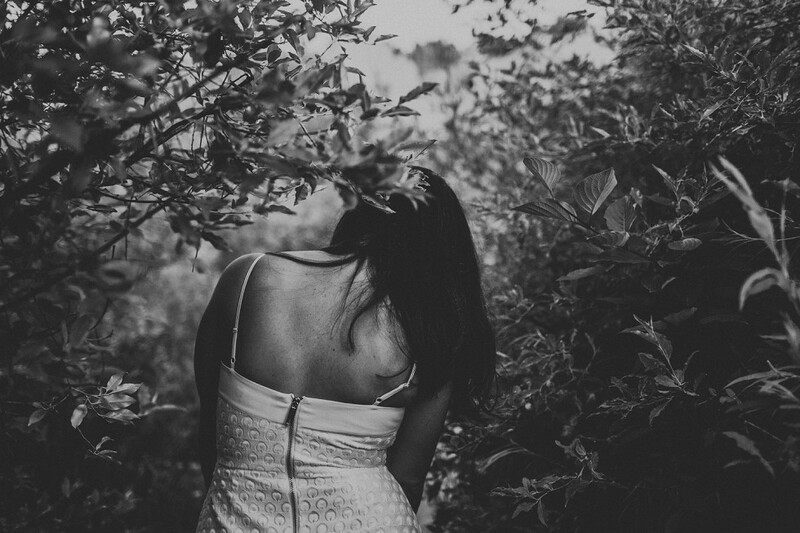 They bravely accepted my proposal to shoot their engagement photos at the Scarborough Bluffs in Toronto…. 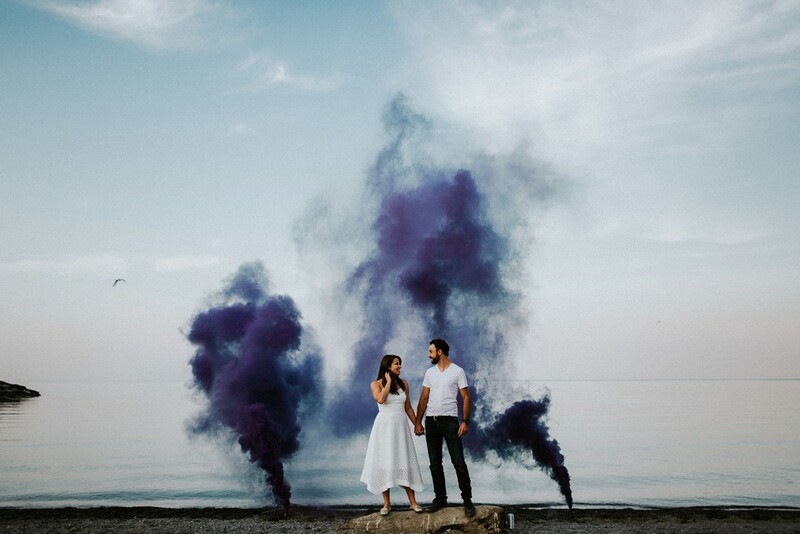 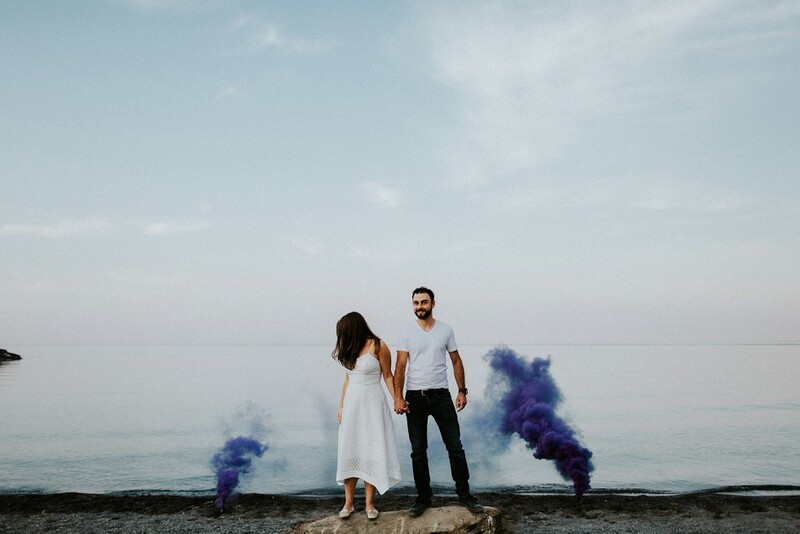 with smoke bombs… at sunrise. 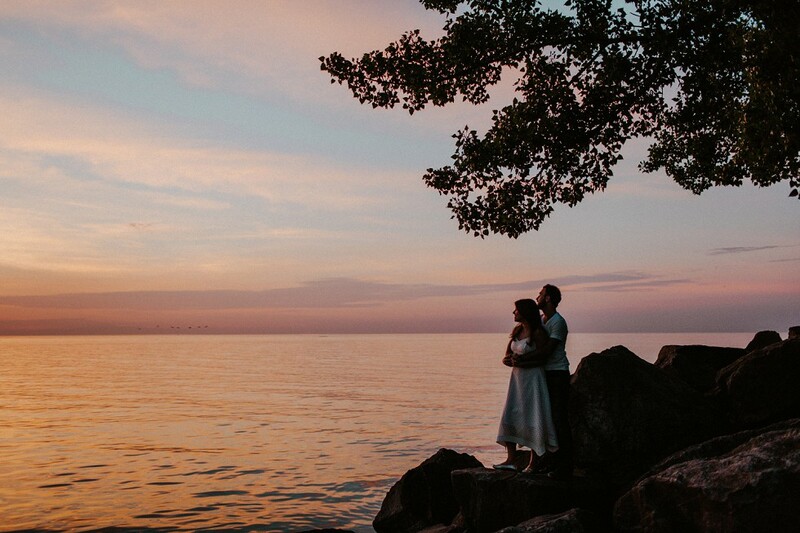 We met on one of the longest days of the year, June 26th, when sunrise would greet us at 5:45 am. 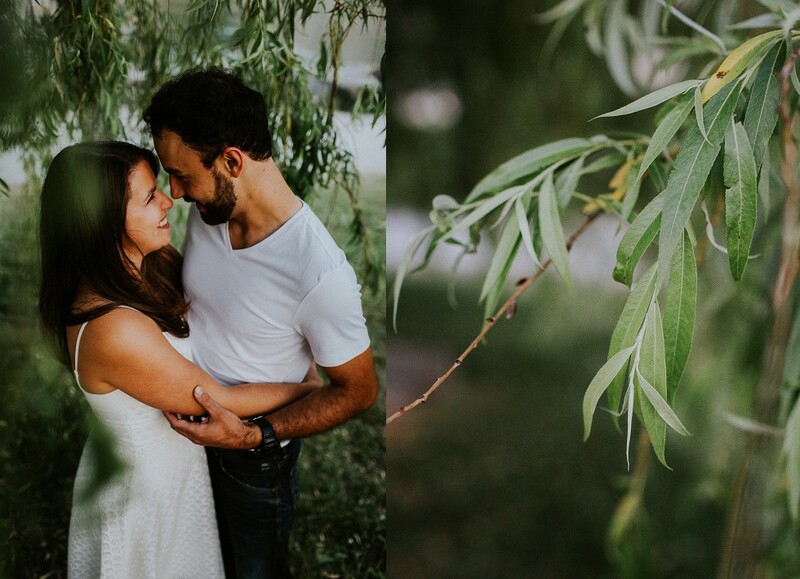 I loved that they agreed to show up at 5:15am so we could capture what the morning looked like before the sun arrived, and my oh my what a beautiful sight it was. 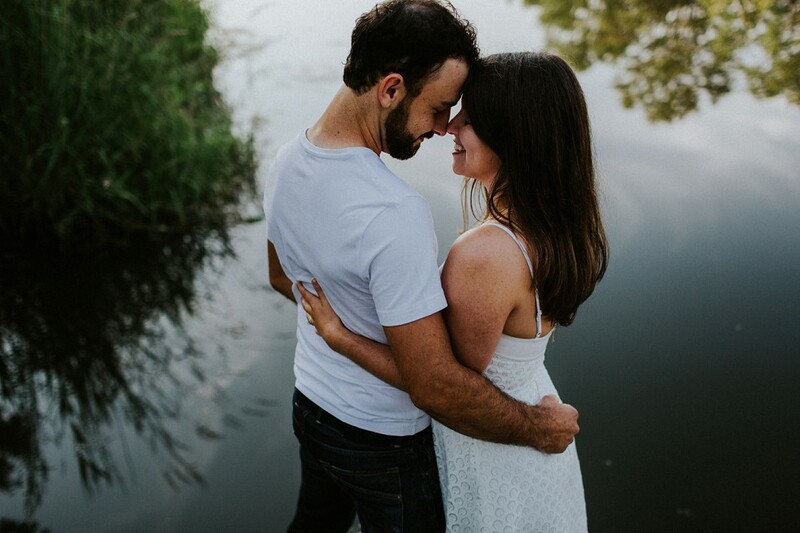 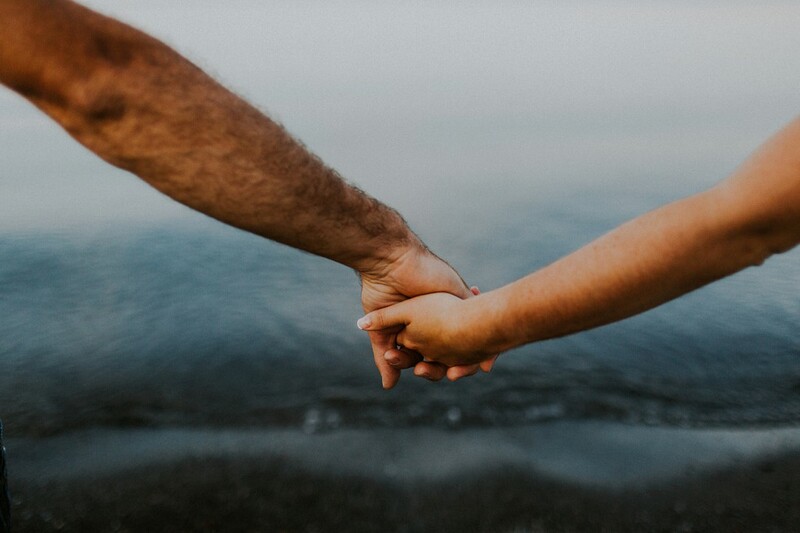 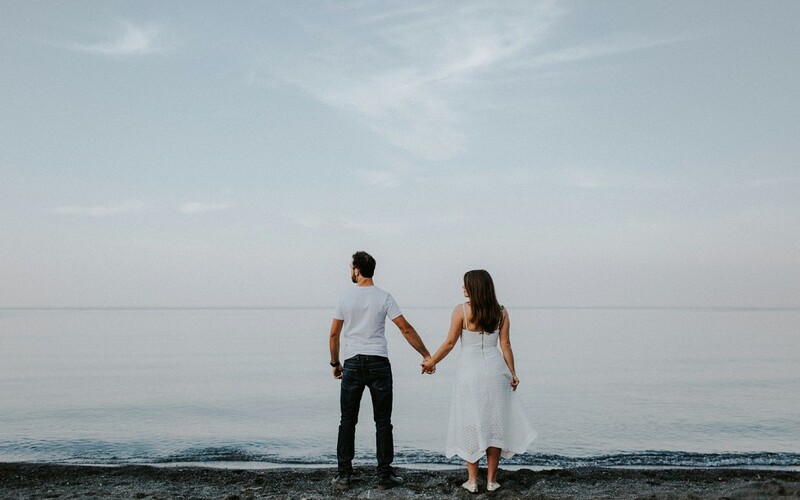 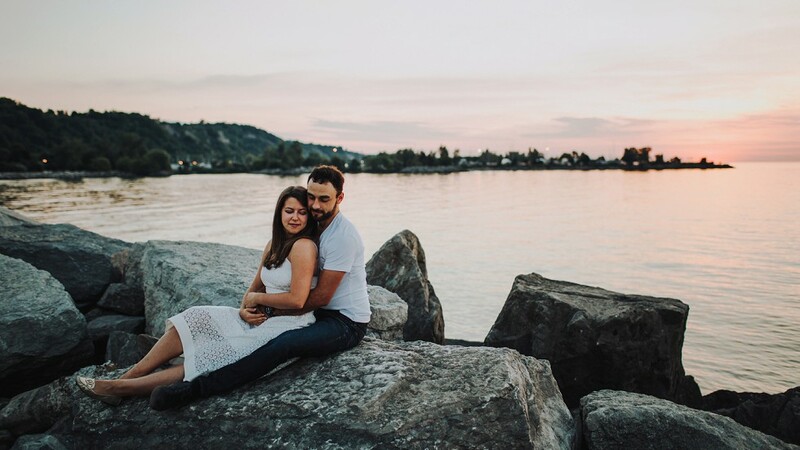 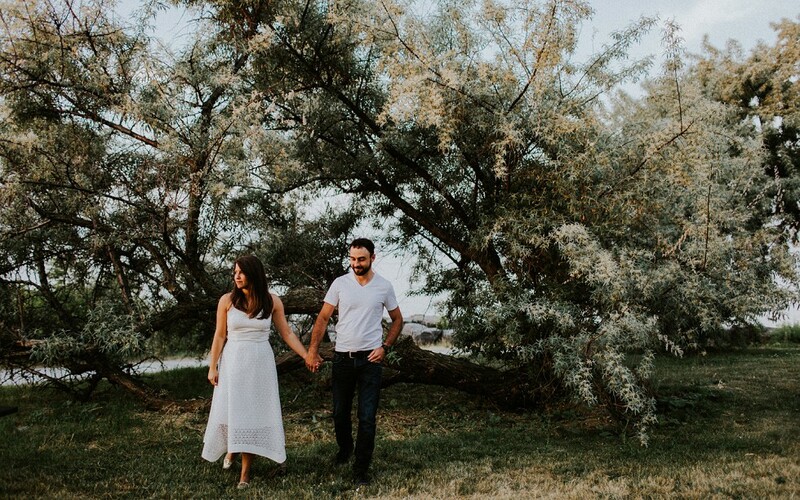 Most of my recent engagement sessions have been in my stomping grounds of Waterloo, but travelling to the Scarborough Bluffs was so worth it. 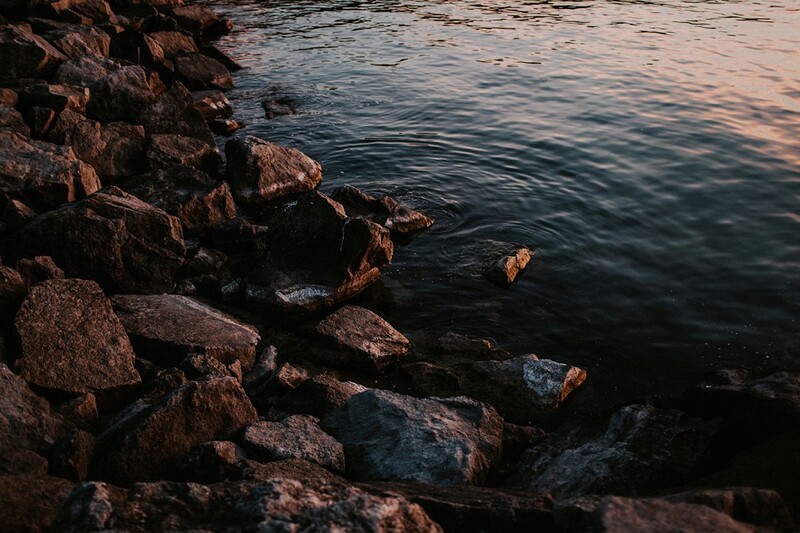 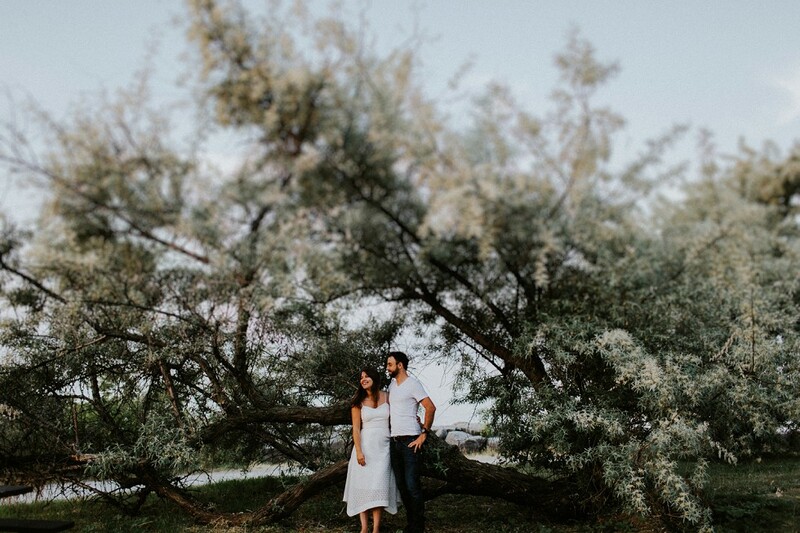 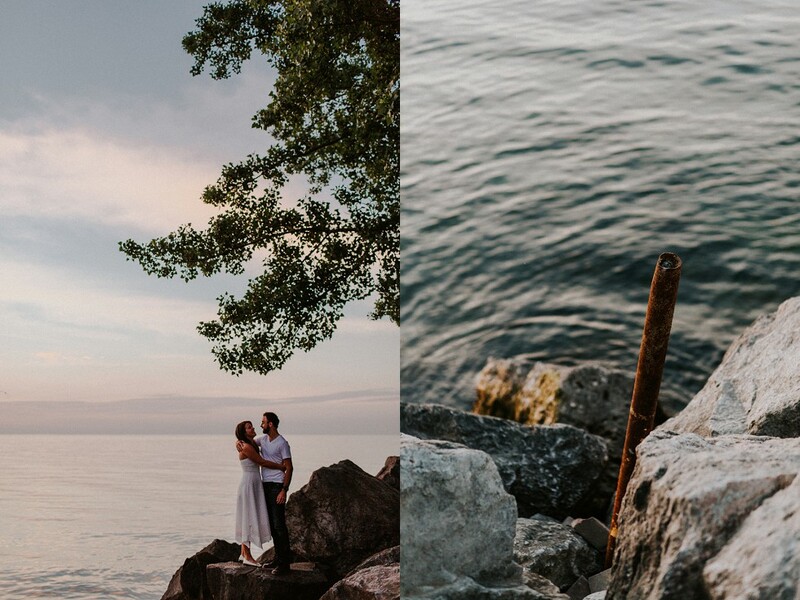 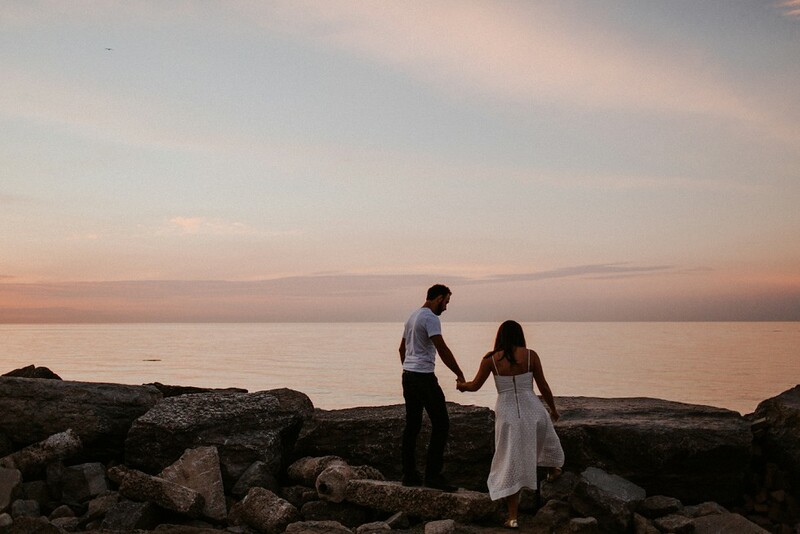 Bluffer’s Park offers so many amazing spaces for an engagement session, from the rocky edge of Lake Ontario all the way through tall greens to the sand walls. 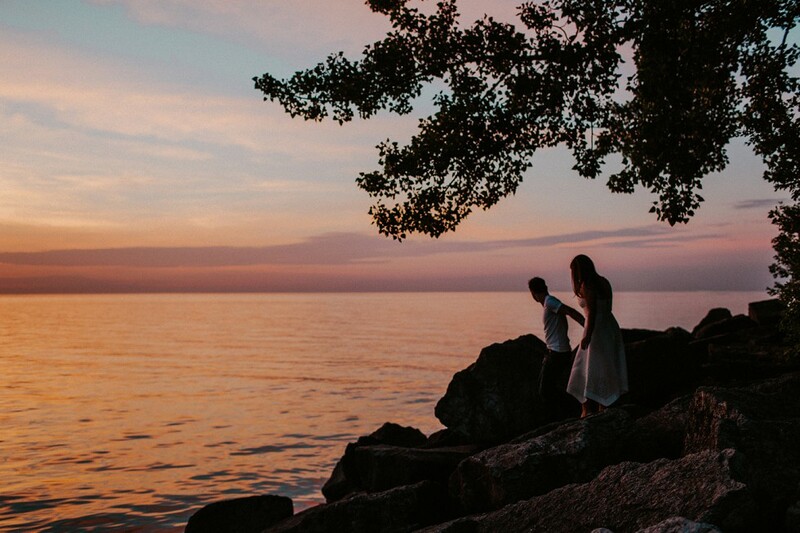 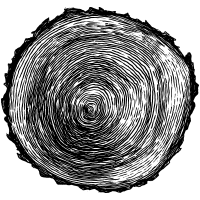 If you haven’t been there, check it out; it seems like a place that shouldn’t belong in Southern Ontario, but I’m really glad it does. 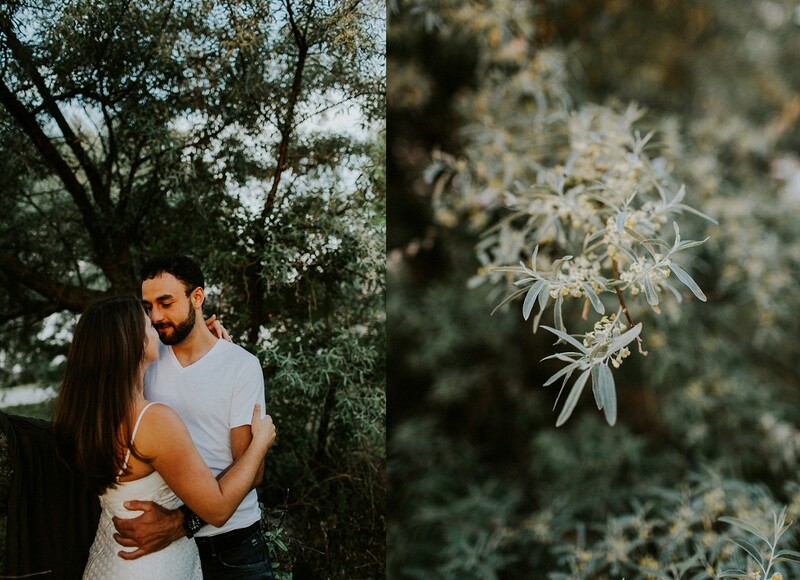 When planning your own couples session, I would definitely recommend sunrise or sunset as the time your shoot will take place! 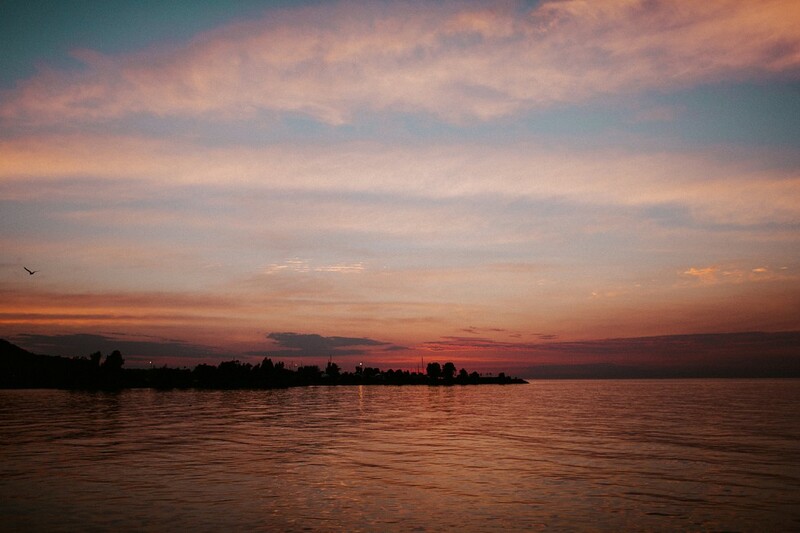 There is nothing quite like shooting in the evening, or in the morning. 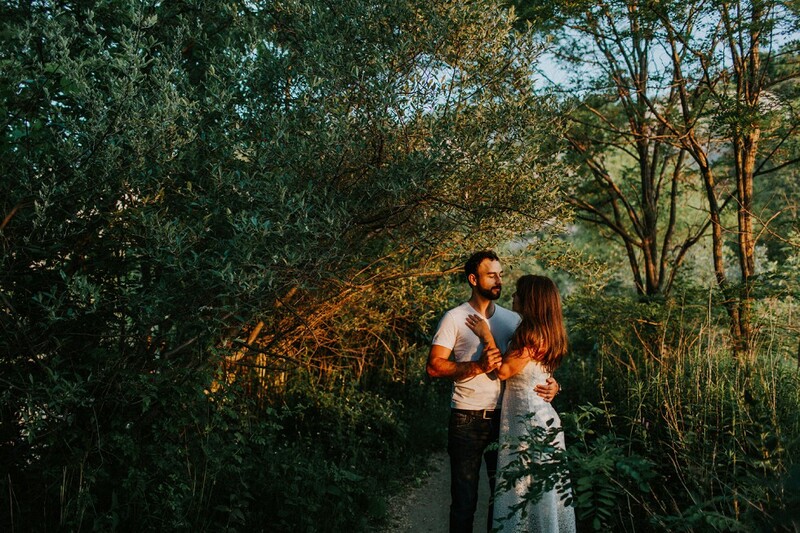 The light is so soft and colourful, and that lends itself well to creating an intimate mood for celebrating the two of you. 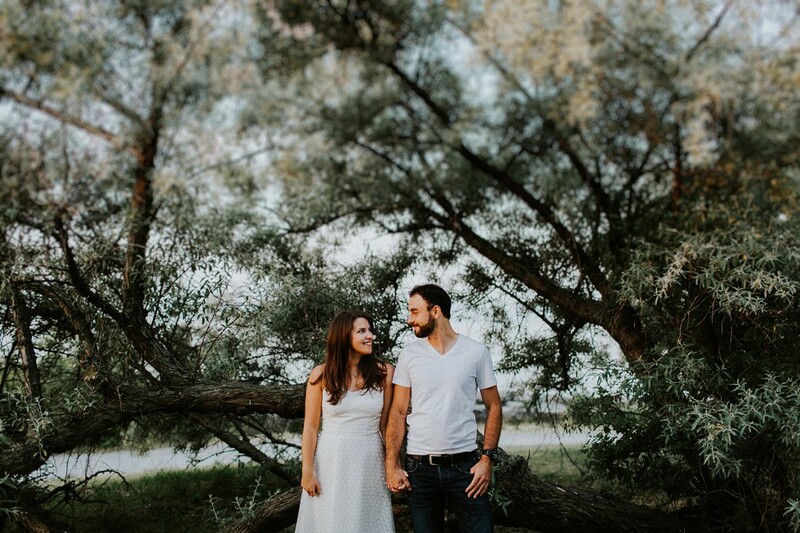 Shout out to Brittney + Dave for trusting that the 4am wake up call would be worth it!